Just to put things into perspective here: when Telekinesis hit their stride with 12 Desperate Straight Lines, My Space was the social media music platform of choice. Even back in 2011, the Michael Benjamin Lerner- led project sounded like a tough gamble considering the musical landscape was coming to terms with the fact that indie rock was moving into a comfortable niche. But since Telekinesis got its start, you felt that Lerner wasn't really interested in kowtowing into the folk-driven takeover of 2011 (Bon Iver, Fleet Foxes, and Mumford and Sons were the prime fillet of the blog scene back then). Lerner would've much rather write his own Utopia Parkway or Grand Prix with 12 Desperate Straight Lines, certainly not the most fashionable choice then or now. 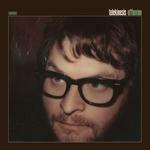 And that's the strength of Telekinesis as a whole - wholesome, punchy power-pop that sounds timeless and edgeless. It's a good way for Lerner to relaunch his project; no expectations and a solid partnership with Merge, to boot. Lest we forget that Lerner did write two records after Straight Lines—Dormarion and Ad Infinitum—both of which tinkered with electronic elements with the occasional straightaway guitar jam. Still, you got a sense that Lerner wanted to expand his songwriting portfolio. In Effluxion, though, Lerner's more immediate songwriting presents a songwriter who's giving his calculated formula one more chance. He even recorded most of the album on his basement in Seattle, a direction he hadn't considered since his 2009 self-titled effort after sharing his work with producers Chris Walla and Jim Eno. Ten years later, Lerner's sad-sack demeanor behind sunshine-y pop melodies is still the norm. His mind floats adrift on the melancholic Running Like a River, opting to maintain a gentle country arrangement over a mid-tempo stride. Which is par de course for Lerner - he understands that a sad lyric and a warm, inviting melody make perfect bedfellows. But by Lerner's standards, Effluxion sounds downright optimistic. The electric piano makes constant appearances—plinky ELO-isms (Suburban Streetlight Drunk), achingly sweet whimsy a la The Monkeys (How Do I Get Rid of Sunlight? )-—with tuneful aplomb. It's lightsome but also thin in execution, a result of him relying on them as both the backbone and the main melody; the latter is a croon away from Michael Bublé's mall strolling-standard Haven't Met You Yet. Only Feel it in Your Bones comes close to replicating his vigorous past work, a rip-roaring anthem which recalls the throbbing power chords of Straight Lines singles 50 Ways and Please Ask for Help. Even Cut the Quick is a departure, where a bouncy, chorus-affirming Lerner crosses over into Danger Mouse territory. It's also one of the most accomplished songs he's ever written. The "effluxion" between records has taught Lerner to evolve while sticking to what he knows best, and though some of his approaches don't work, they also push him to find the subtleties within his richer compositions. It's a refreshing jumping-off point for Lerner even if by now he's well established what Telekinesis should sound like. At least that's not a problem he has to deal with anymore.